The week from 17 to 23 July saw the celebration of 50 successful years of training at MTC. Over the years, more than 5000 young men have found employment through their training at MTC. Delegations from New Zealand, Germany and Japan, diplomats, employers, former MTC staff and politicians were among the distinguished guests who gathered in Betio for this event. The festivities began with the Open Day on Thursday, 20 July 2017, that allowed all those who always wonder what goes on behind MTC’s gates to take a closer look at the facilities and see technical demonstrations, for example in the engine room and at the fire school. Friday, 21 July, was dedicated to the future of MTC. Employers from the maritime industry and representatives of the Government of New Zealand exchanged expectations and experiences during round table meetings. The day concluded with the signing of a Grant Funding Agreement between New Zealand and the Republic of Kiribati that provides MTC with financial and technical support over the next five years. 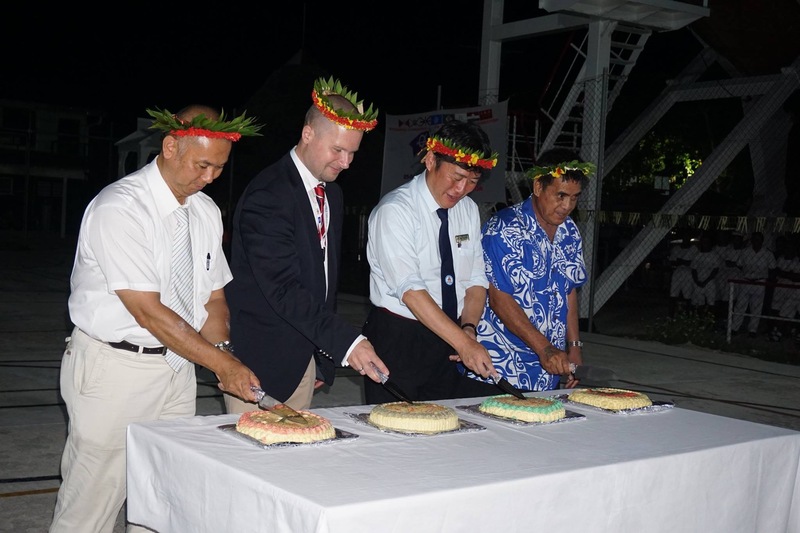 The official celebration of MTC’s 50th anniversary was on Saturday, 22 July. 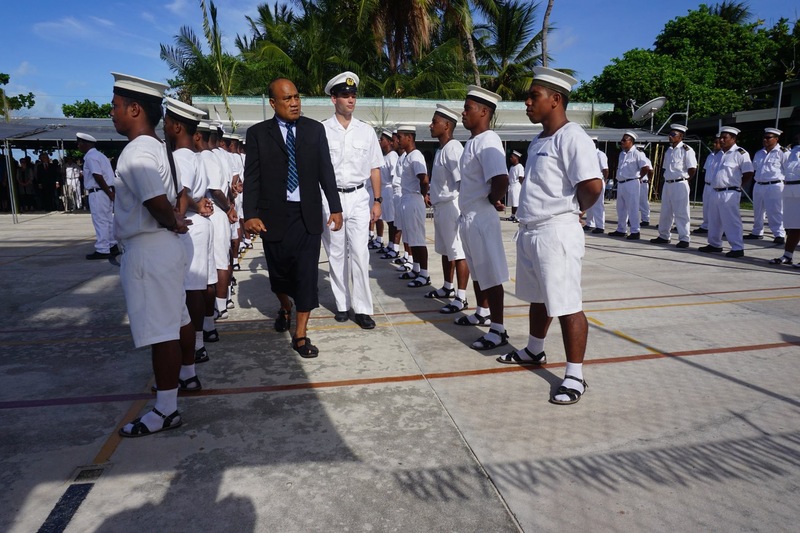 In presence of HE Te Beretitenti Taneti Maamau, the ceremony was opened by a parade of MTC students and staff and the Police Brass Band. 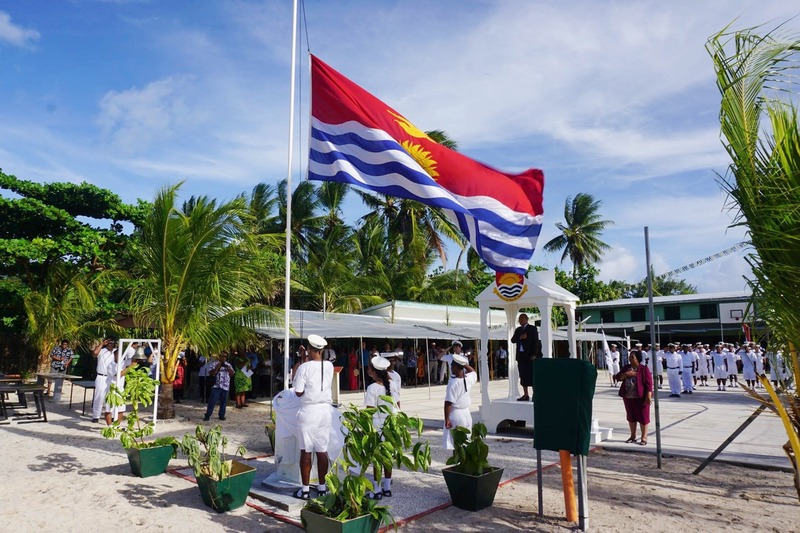 The inauguration of the Fishing Platform, donated by the Government of New Zealand, and the reopening of MTC’s library by the German Ambassador to Kiribati were followed by the presentation of a special series of stamps in commemoration of this event. Practical demonstrations like fire-fighting training and engine room operations showed the guests MTC’s daily work. The evening banquet and cocktails, prepared by MTC’s catering department, dancing and singing will be a lasting memory for the well over 150 guests. 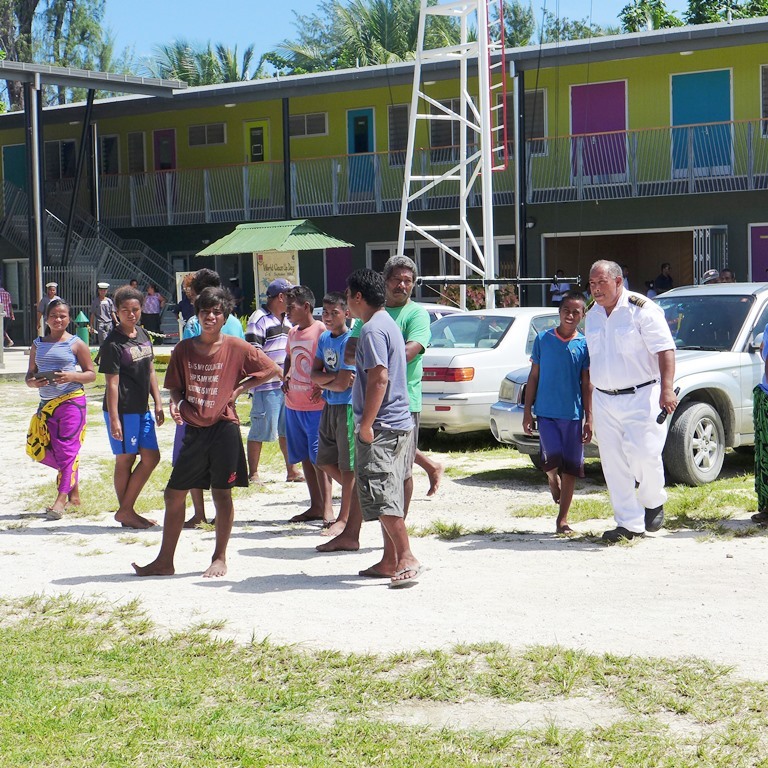 The Kiribati national newspaper Uekera reported in its issue 30/2017 from 27 July 2017 about the event.